A comprehensive palm reading is an ultimate life guidance reading. A Palm reading accurate Life guidance palm reading is an examination of every part of your hand to deepen understanding of your self and help to answer your questions regarding career, health, money, love, future, character, and life mission. The analysis is completed in a document form and sent to you via your email. Analysis of your hand shape and what it means for you. Do you have signs of success? And if they are lacking, guidance on how to improve your chances. Analysis of your finger shape and settings and how they can show your past and help your future. Investigation of the finger phalanges and how they may affect your choices and behaviour. Look for potential health issues from the fingernails. Fingerprint analysis to decipher life purpose and lessons. The mounts and what they are currently doing to support your weaknesses and strengths. Study your thumb and how it drives your luck and ability to succeed. 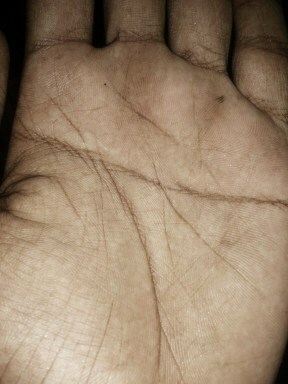 Scrutiny of the lines on your palms to depict your past and potential future. Markings on the palms and what they mean. Dermatoglyphics on the palms (if present) and how they can strengthen your life purpose. Are you in the right career? Do you have the motivation? Advice on how to improve this area. Health and warnings if present. Answers from the lines on the hands for a palm reading accurate guidance. Please e-mail photos to HERE – Clear photos of palms with the whole hand and fingers visible, see examples below. If you are Male or Female. Your age now (your date of birth for a more accurate reading). Payment: Click on Buy Now to pay with PAY PAL or payment to https://www.paypal.me/destinypalmistry. Contact us for other payment options. (I will contact you via email with the approximate completion day). FREE e-book ‘Claim Your Power and Succeed in Everything You Do’ – when you order this reading. NOTE: For a palm reading accurate reading. It takes careful analysis from the hand, fingers, fingerprints and lines to prepare a full life guidance reading. The study is very personal and written into a pdf document and sent via e-mail to you. Please allow at least 48 hours from the next business day for your reading as all documents are prepared in order of prioritisation. Sari Puhakka, expert hand analyst, writer, and artist. Sari has been studying hands for over 30 years; it is her passion to help people succeed in their life. Sari initially wrote a motivational book called “Claim Your Power and Succeed in Everything You Do” to help people clarify their life purpose. Reading palms and cards was merely a hobby at first until the age of 28 she realised it was her mission in life to not only be seen as an expert in her field but to have the power to help people see their potential to succeed in whatever it is they desire. She is originally from Toijala, Finland. Born in 1967. She emigrated to Sydney Australia in 1977 with her parents and three sisters. Since 1996, she became a mother of four children, currently residing in Queensland Australia. NOTICE: The author and publisher disclaim any liability or responsibility to any person or entity with respect to any outcome, loss or damage caused directly or indirectly by the utilisation of any information presented in the readings. Intended for general advice and or entertainment purposes only.